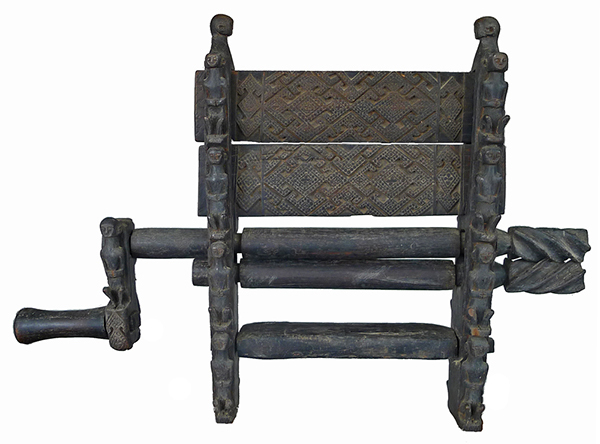 We have made countless trips to Indonesia (over 40 to Bali alone) since the mid 1980s for both pleasure and business - sourcing hand-crafted decorative and ethnic artifacts, old and new, for ourselves and our former fair-trade business World Art & Crafts. We simply love Indonesia and its amazing diversity of culture, and have travelled to many of its major islands including Sumatra, Sulawesi, Java, Bali, Lombok and Sumba. 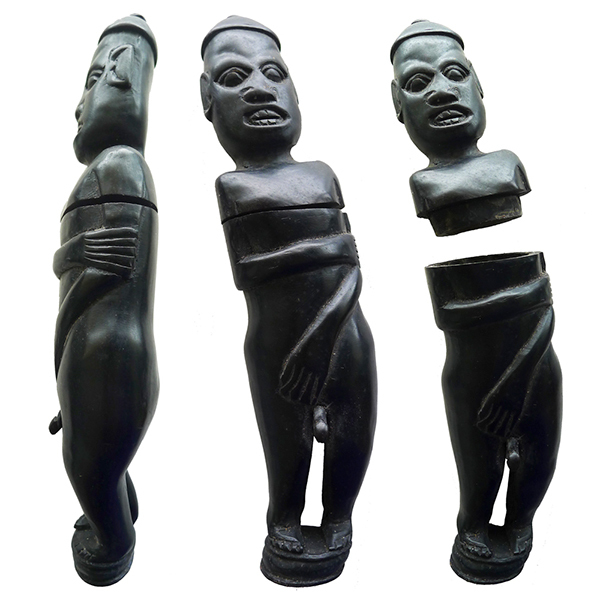 This category contains some of the items we collected for ourselves during our travels. 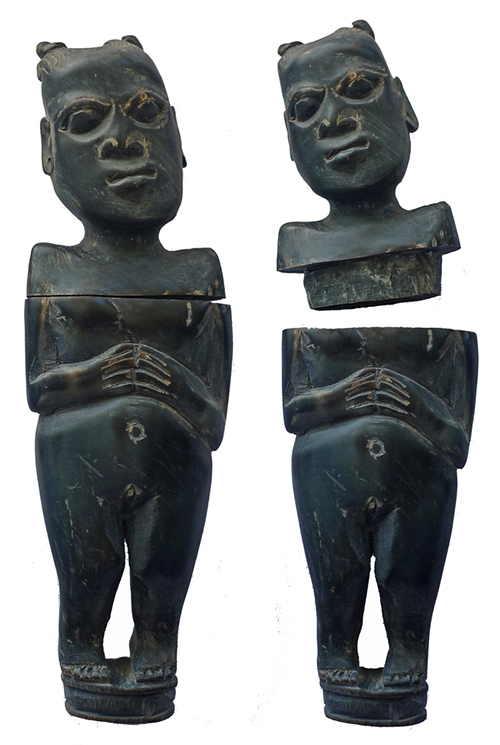 More Indonesian crafts can be found in the Textile, Ancestor Figure, Wood Carving and Mask categories. 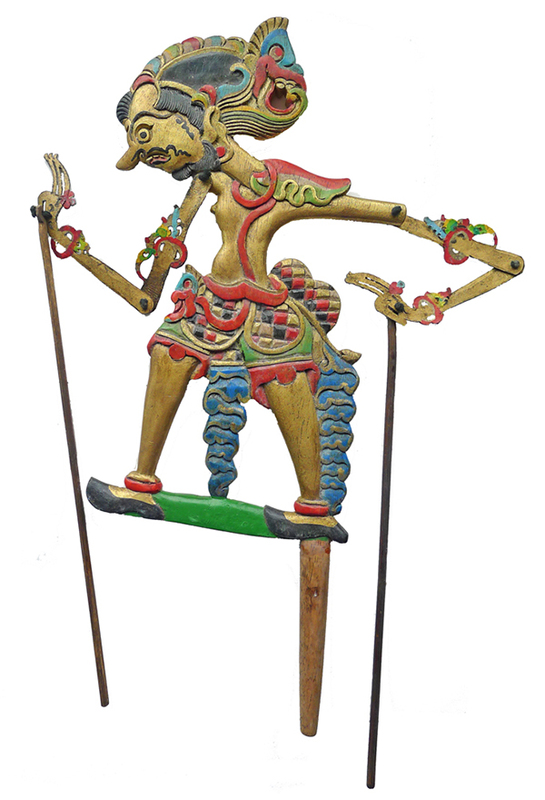 Old Bamboo Lime Container from Timor18 x 5cm (7 x 2 inches) A beautifully decorated bamboo conta..
Sasak Buffalo Horn Female Figure – Lombok17 cm (7 inches) An interesting small container from th..
Old Javan Wayang Klitik Puppet40 x 16 cm (16 x 6 inches) An old wooden Wayang Klitik puppet from..
Old Javan Wayang Klitik Puppet40 x 19 cm (16 x 7.5 inches) An old wooden Wayang Klitik puppet fr..
Rare Timor Cotton Gin with Ancestor or Guardian Figures30h x 43w x 8cm (12 x 17 x 3 inches) This.. 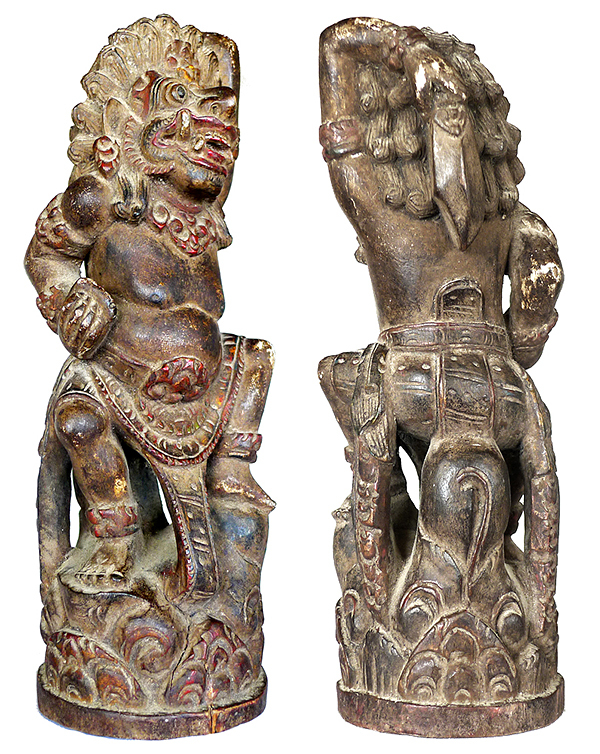 Male and Female Seated Guardian Figures with Underworld Crocodiles35 x 11 x 6cm (13.75 x 4.25 x 2.5 ..
Balinese Rice Goddess Dewi Sri Kris Hilt11.5 cm (4.5 inches) This is an old Balinese kris or ker..
Sasak Buffalo Horn Male Figure – Lombok19 cm (7.5 inches) An interesting small container from th..
Balinese Raksasa Pratima 24 cm (9.5 inches) A rare 19th Century Balinese wood carving of a Raksa.. 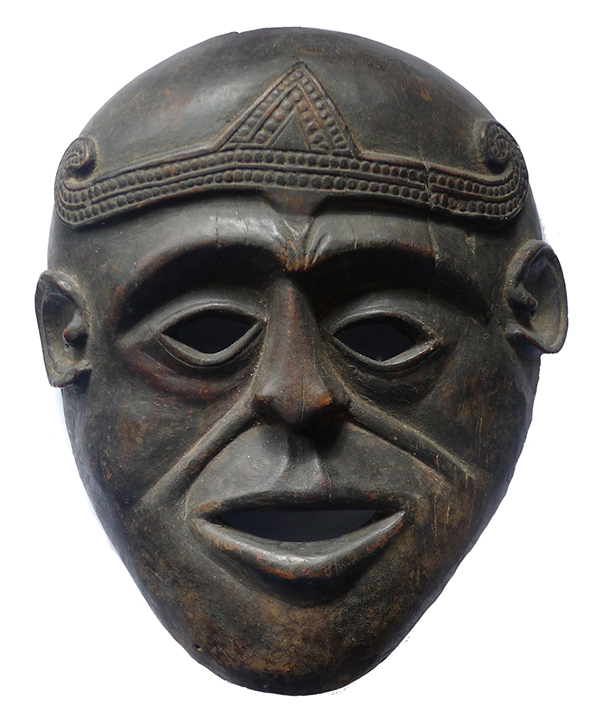 Antique Mask from Timor (Indonesia) 29 x 24 cm (11.5 x 9.5 inches) This is a superb antique cere.. 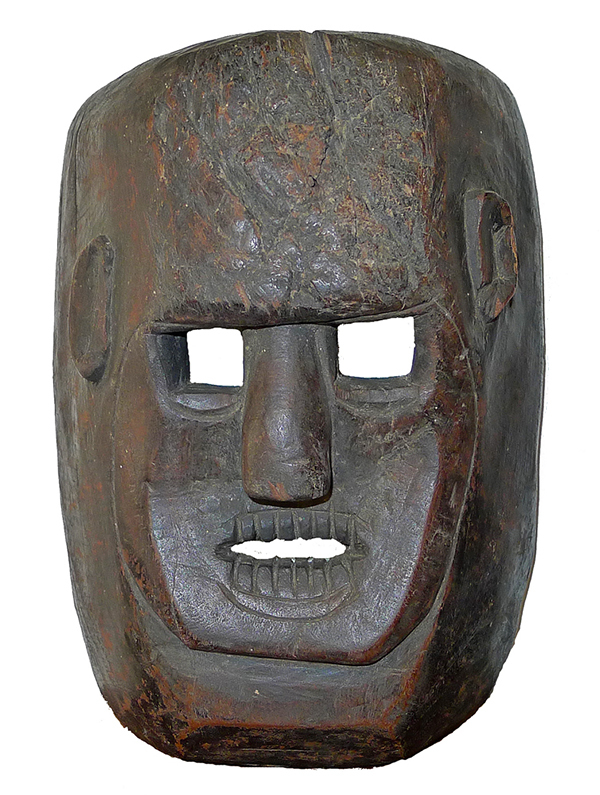 Antique Indonesian Shaman Mask 26 x 19 x 10 cm (10 x 7.5 x 4 inches) A really superb 19th centur.. 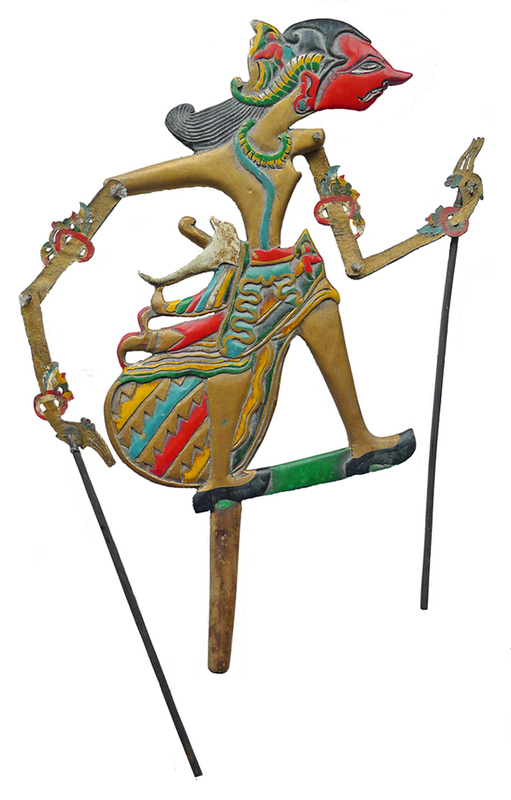 The Shadow Puppet Tualen - Balinese Architectural Relief Panel Height: 100 cm, Width: 25 cm, Depth: .. The Goddess Saraswati - Balinese Architectural Relief Panel Height: 77 cm, Width: 26 cm, Dept..